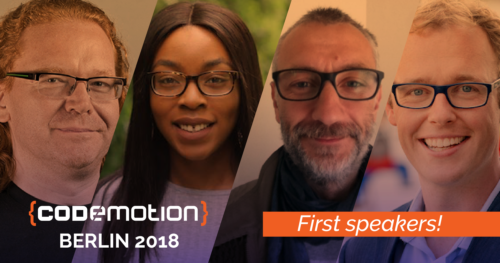 This November Codemotion comes back to Berlin for the fifth time bringing to the capital of Germany more than 60 international speakers that will take you on a step-by-step journey through every topic about software development. We have been working really hard to choose the best possible speakers covering the hottest tech topics and today we would like to share with you the first confirmed names. Tara Ojo is a software engineer at FutureLearn. She’s also a STEM ambassador, keen to encourage and inspire young people from diverse backgrounds to consider careers in tech. Cristiano Rastelli is a passionate web designer & developer, currently he working as a Mobile Web Developer at Badoo. 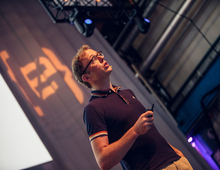 He is not only an attendee but also a speaker and organiser of technical conferences and meetups. This is just the beginning – there are more exciting news to come and interesting guests to look forward to. So you’d better secure your seat now to ensure you’ll catch these superstars speaking in Berlin, this November. If you’re interested in joining us as a Speaker, submit your proposal now. The application deadline is July 3rd.